Aaaahhhh!!! 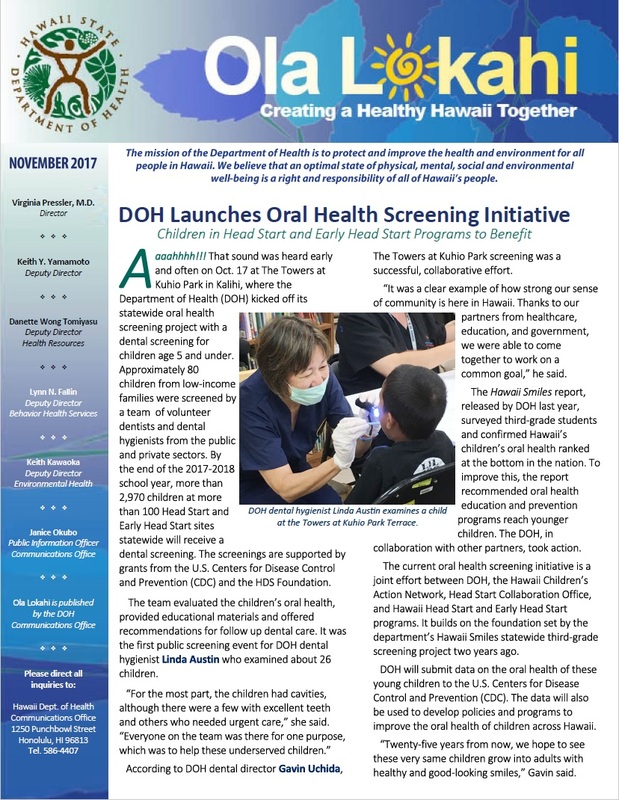 That sound was heard early and often on Oct. 17 at The Towers at Kuhio Park in Kalihi, where the Department of Health (DOH) kicked off its statewide oral health screening project with a dental screening for children age 5 and under. Open the attached newsletter pdf to read more. Bacteria that have become resistant to antibiotics or other treatment options may sound like something from a horror film but according to health experts, such bacteria are becoming increasingly common. Open the attached newsletter pdf to read more. Open the attached newsletter pdf to read more.